Description: Gerrard scores Liverpool's first goal of the season from the penalty spot after Glen Johnson was brought down. Description: Gerrard's corner is half cleared. Johnson shoots left footed from outside the box in to the bottom corner of the goal. Description: Gerrard cross chested down by Kuyt. Torres fires in the goal. Description: Debrecan's keeper failed to hold on to a low shot from Torres and Kuyt grabbed the 1st half injury time goal. Description: Wonderful individual goal from Torres who fires in from a narrow angle bottom left. Description: Mascherano mis-hits a shot that Ngog turns and controls before placing nicely in the corner of the Leeds goal. Description: Riera crosses along the ground from the left. Torres in the box, drags the ball away with his left, before firing a left footed shot to the bottom right corner. Description: Torres turns a defender, before taking the ball round the keeper then firing home from 8 yards. Description: Yossi slides the ball in to Torres who drags the ball to take two players out before hitting left footed to score his hat-trick. Description: Shot from outside the edge of the penalty box sailed in to the top corner of the goal. Description: Kuyt slides the ball before Babel flicks the ball past the keeper from 6 yards out. Description: Wonderful individual goal - Torres powers past Ferdinand before lashing it home. Description: Reds breakaway from United's defence. Lucas threads the ball and Ngog slots it past Van der Sar. Description: Babel runs towards the goal and unleashes a powerful shot into the net. Description: Keeper makes a save from Kuyt but Ngog smashes the ball home. Description: Ngog is brought down in the area. Gerrard converts the penalty. Description: Carragher heads back in from a corner. N'gog gets last touch. Description: Gerrard's FK into the box, Benayoun flicks it into the net. Description: From a free kick the ball is cleared to Kuyt who pokes the ball home. Description: Torres scores on his 100th appearance after his first hit is blocked. Description: Aurelio's cross finds N'gog's head. Description: Shot on goal, slight deflection wrong foots keeper. Description: Ball lands at Torres feet who fires home. Description: Gerrard shoots from outside the box. Kuyt's dummy helps blindsight the keeper for the goal. 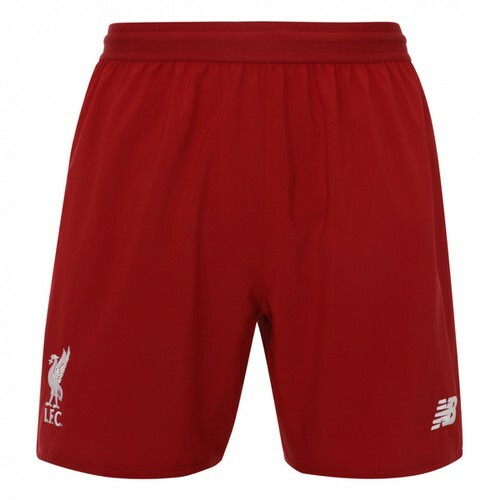 Description: Gerrard attempts a flick across the box, but takes a deflection into the net. Description: Cross from Aurelio. Kyrgiakos bundles it over the line. Description: Ngog brought down in the box. Kuyt smashes the pen in, but the ref says take it again. Which he does and places it in to the corner. Description: Riera crosses to Insua, crosses to back post - Aquilani heads across goal to Kuyt who fires in. Description: Corner from Gerrard. Kuyt bundles the ball in. Description: Cross from Babel finds Pacheco who heads down for N'gog to head home. Description: Great build up - Benny feeds Gerrard who fires the opener. Description: Lovely ball from Lucas finds Torres - back out to Rodriguez who passes it to Nando who shoots from about 6 yards. Description: Gerrard drifts past the Lille defence, Torres pokes past Landreau. Description: Fast Liverpool break, Kuyt reaches the ball at the touchline and sends it into Torres who heads in. Description: Torres lifts a beautiful shot over Craig Gordon in front of the Kop. Description: Johnson cuts the ball in, before firing in with his left foot. Description: Free kick from Gerrard. Passed along the ground in to area, backheel by Agger in to bottom left hand corner. Description: Hopeless shot from Johnson makes it's way to Gerrard who jinxs past Bowyer before curling it in to the corner from a tight angle. Description: Gerrard free kick left wing - Kyrgiakos gets his foot on the ball which hits the post before rebounding off Robert Green. Description: Inside penalty area in to bottom left corner. Description: Babel fires inside the box in to the middle of the goal. Description: Cross from Benayoun, turn and shot in to bottom left corner. Description: Volleyed in to corner.